This walnut, 49-key “Kinder” underwent three separate preparation formulas which yielded a set of compositions. Each of the preparations focused primarily on customizing the lower and high registers, while maintaining a fairly regular mid-range. Reeds were replaced, modified, displaced, removed, or brought to contact with small foreign objects like adhesive tape, pieces of aluminum foil, twist ties, keys, and foam. These techniques highlight timbral effects from interfered reed vibrations, air-to-pitch ratios of individual notes, and air-noise coloration. Specific performance gestures were developed to bring out the full timbral qualities of each aspect of the preparation. The gestures operated in close relationship to dynamic pumping techniques (measured expressions of airflow control by means of foot pedals) that simultaneously dictate rhythmic and tremolo effects. 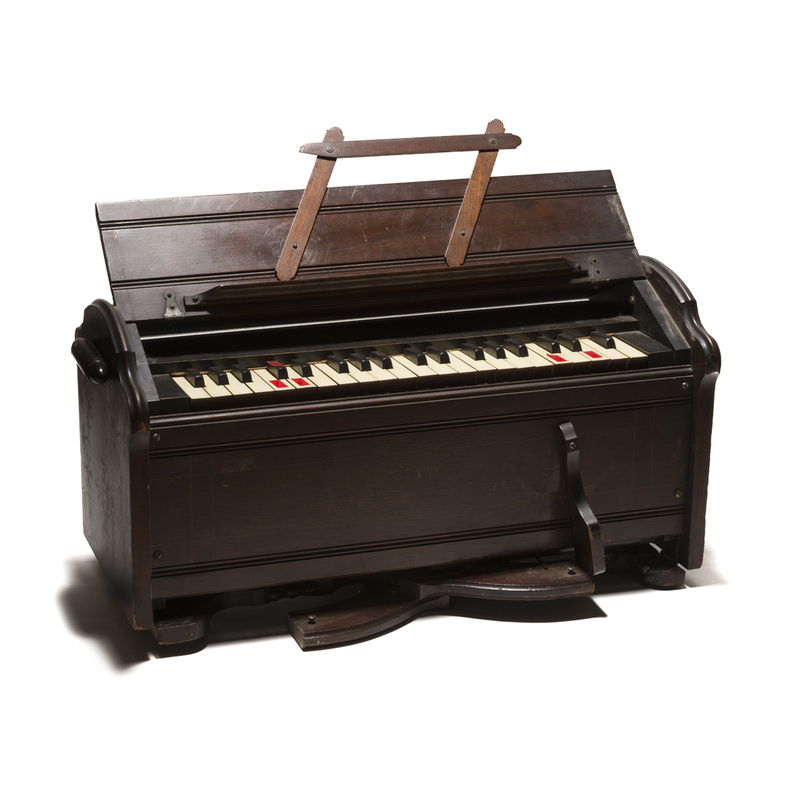 The preparation of the pump organ connotes Pierre Schaeffer’s “commutating instrument” concept for regulating musical sound and noise, Harry Partch’s adapted reed organs, and John Cage’s prepared piano techniques.